Majlis Grand Mercure Medina offers 5-star accommodation overlooking the Prophet Mosque, which is a few steps away from Prophet Mosque. 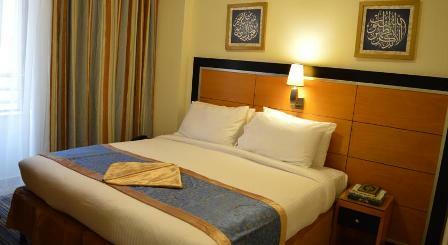 It features a gym and rooms with free Wi-Fi. Red floor carpets and recessed lighting provide the air-conditioned rooms with a warm feel. 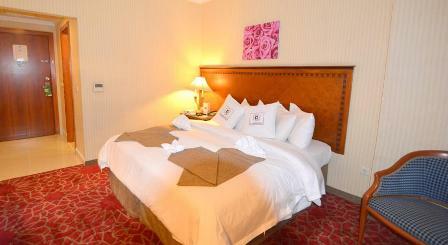 Each room has a flat-screen satellite TV and DVD player. The private bathrooms have double vanities. 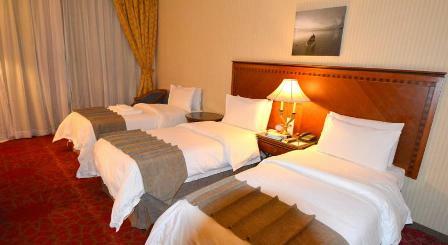 After a good night’s rest, guests can enjoy breakfast in their rooms. 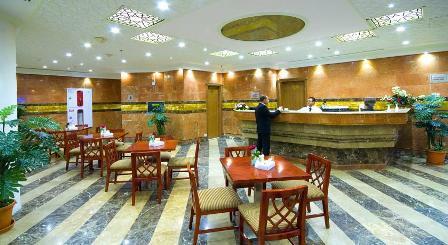 The hotel's restaurant serves traditional Saudi cuisine. There is also a selection of on-site shops.